tm stagetec systems has announced that they have established a partnership with Glensound. In an exciting and exclusive deal, tm stagetec systems is now officially the Australian dealer of Glensound products. Glensound are designers and manufacturers of audio broadcast equipment. The company strives to continuously design new and innovative products and their impressive product range certainly reflects this. 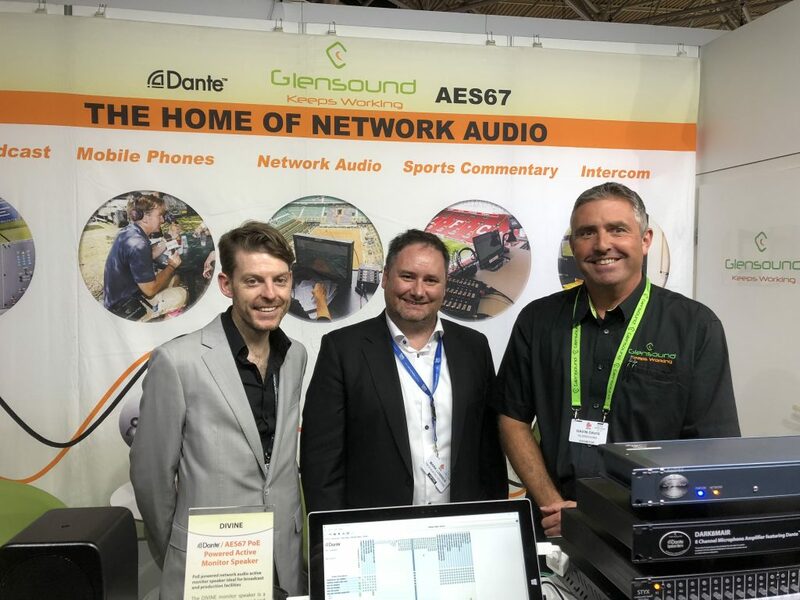 Since its inception in the UK in 1966, Glensound Electronics has aimed to design and produce audio broadcast equipment to the highest standards. Their products have become world renowned for their design and build quality, establishing Glensound as a market leader in their field. All Glensound products are designed and manufactured by Glensound Electronics in their own factory complex. The manufacturing processes used have been developed over many years specifically to produce quality equipment. Producing everything in-house means that both quality standards are met and that custom alterations can be made for clients to meet specific needs. tm stagetec systems’ mission of bringing technology together fits perfectly with the Glensound business ethos and the two companies look forward to offering the Australian market this huge range of innovative, high-quality audio broadcast equipment. tm stagetec systems’ employees are always searching for new technology and new ways to better meet client needs and this partnership will only help to further this ambition. In the latest news from IBC 2018, Glensound Electronics has pre-released a new concept in PoE powered network audio monitor speakers – The DIVINE.The DIVINE monitor speaker is a new concept from Glensound and they will be using customer feedback from IBC to finalise the design of this new product. To find out more information on the range of Glensound products click here or alternatively, please contact tm stagetec systems.